Getting sick on a plane when you travel – Some quick How-To tips to avoid catching a cold on your next adventure. Germs on a plane – Where are the germiest spots on the airplane you should avoid to keep from getting sick when you travel? – Including the single most important tip to stay cold-free this travel season. Plus, how to make that space your germ-free space. As travel becomes more and more affordable, more people are flying than ever before. Airlines are cramming more and more people into every seat and planes are cleaned and turned around faster than ever before. All of this combined means more germs and more chances for you to get sick. These viruses and germs can live for hours on surfaces, even though they get filtered through HEPA filtration if in the air. 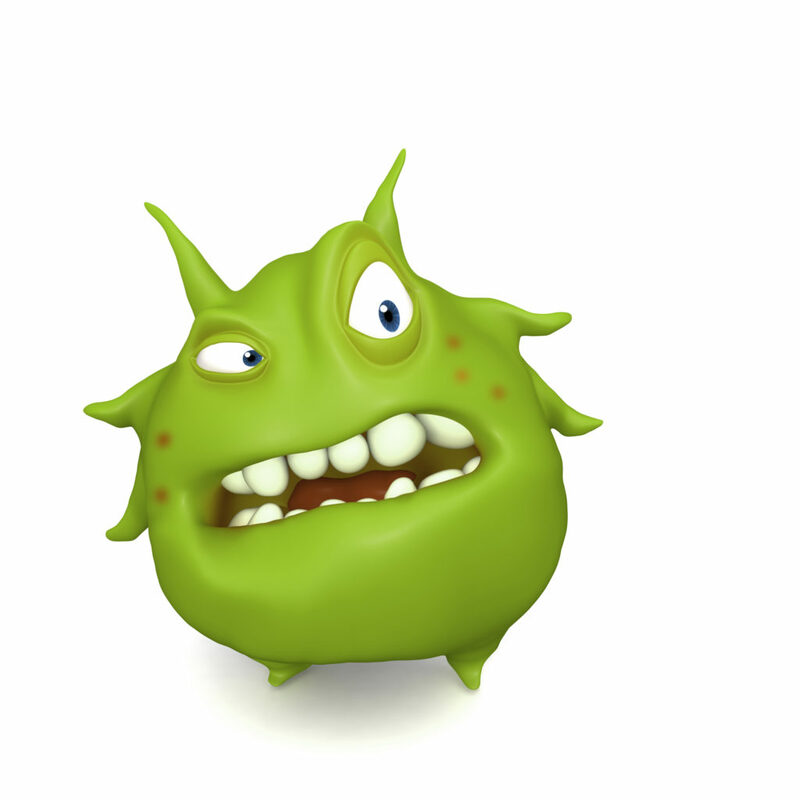 Here are a few strategies to stay germ-free (for germs both on surfaces and in the air). Concluding with probably our single most important tip to staying cold-free this season. Some travelers swear that they get sick on every trip for business or on holiday. The Journal of Environmental Health Research did a study that found colds could be 100 times more likely to be caught on a plane than during your normal day on the ground. And the Wall Street Journal cited the same study that your increased risk for catching a cold (or the flu) as high as 20% if on a plane. Their study of 1,100 passengers flying from San Francisco to Denver, found that one in every five travelers developed a cold within two weeks. The headrest is the dirtiest section of an airplane. The next dirtiest spot is the tray table! The second MOST important tip? It is also why we started giving away hand sanitizers that easily “clip on” to a bag strap or belt loop so you’ll always have it with you. (You can purchase the same gel holders of hand sanitizer at Target or local convenience store. They are also refillable so once you have one on your bag, you don’t need to throw it out and buy another one. Just refill it! They help defeat “fomites,” which is “medical-speak” for inanimate objects or surfaces that carry and transmit infection or germs. 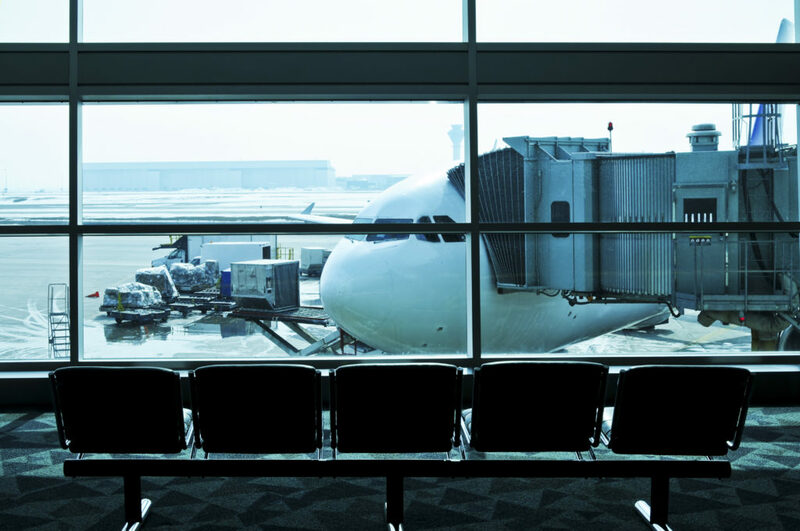 Did you know that MRSA can last up to 168 hours on the seat pocket or tray table? Or that E. coli can still be active even 96 hours after the same person coming out of the bathroom then got into the overhead bin? Bring an extra shirt or coat and laying it over the back of your seat covering the headrest. Make sure it is just barely over the top of the headrest and not dangling in the person’s space behind you or blocking their tray table. Since many fliers like to have a blanket or coat to cover themselves if it gets too cold, this is a good use of that item until it is needed. A hoodie esp. can be “reversed” with the hood pushed inside out and can be draped over the headrest. This way it does not slide down and bunch up behind your back, and it also doesn’t bother the person behind you. Any germs it is exposed to will be on the OUTSIDE of the garment, not next to your hair/skin. As soon as you sit down and get situated, pull out your hand sanitizer and a napkin or tissue and wipe down the tray table, the latch, the seat belt connector and your hand rests. Then use the sanitizer on your hands. Congratulations, you just killed 80% of the germs you are exposed to on the plane. Now, carefully stick that germy paper towel,…”you guessed it!” in the seat pocket in front of you. Try to also keep from rubbing your face, eyes, wiping your nose etc. with your hands. Believe it or not, many of us touch our face at least a few times a minute! So using hand sanitizer is important since germs enter our bodies through respiratory tract (breathing), our eyes, etc. Do not use it. Bring a bag or purse that can fit under the seat in front of you and use that instead for your storage of items. Just thinking about the used tissues, snack wrappers and grubby hands touching everything in the seat pocket should make anyone an instant “germophobe.” I need say no more about seat pockets. Consider how many other people have rummaged through the SKYMALL Magazine. The only time they get “cleaned” is when a new magazine comes out – Quarterly! A person with an extreme fear of germs and an obsession with cleanliness. After opening or closing the overhead compartment, use sanitizer on your hands, preferably before grabbing your bag. Better yet, let other people open the compartment, then all you need to touch is your own bag. Use a hand towel when touching the flush button, faucet, etc. wash your hands! Remember you also were touching the bathroom latch to open the door. 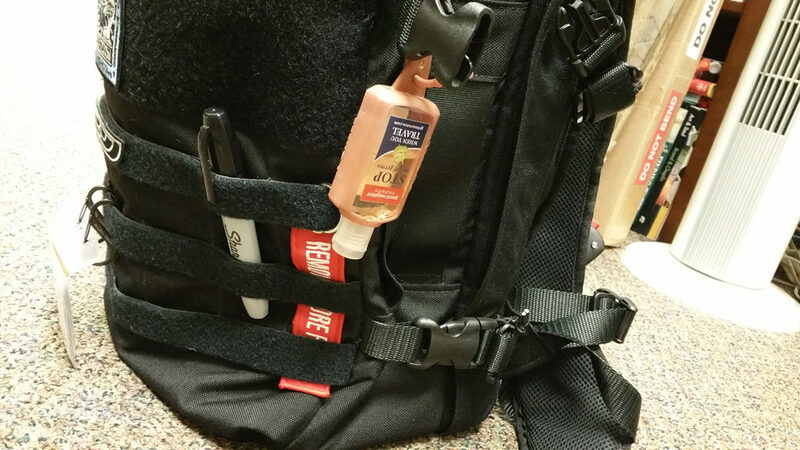 And use hand sanitizer when on the way back to your seat or as soon as you sit. Remember, if you are touching your hand rest and seatbelt before using sanitizer you could be transferring germs. Although the air is recycled, aim the air vent on medium and aim it at your chest, not directly at your face so germs aren’t blowing from the vent into your face. The moving air can also push germs floating in the air away from your face. In almost every study ever done, realize that your cell phone is probably dirtier than the items encountered on the airplane. Even the toilet! However those germs are most likely your own, plus all those people you took money from, the elevator, the bathroom door handle in the terminal,…. Wipe down your cell phone screen and back and pay attention to the buttons both to clean them, but not get any sanitizer or liquid in the gaps between case and buttons. Before cleaning the tray table and hand rests, be careful when touching things and then sticking your hands into your bags, pockets,touching your phone or computer. Otherwise you are simply transferring germs from the plane to your personal items. And remember to use hand sanitizer if you want to use touchscreen entertainment systems during your flight. Wipe it down. So how often are airplanes cleaned? Airplanes are usually cleaned only when an airplane stays the night at an airport and then flown out the next morning. However, there are no regulations or agencies checking and how often and how well an aircraft is cleaned is something the airlines don’t talk about. Airlines often use third-party cleaning services at night that are more interested in speed than thoroughness. Furthermore, the number of these overnight stops at hubs varies for each airline. In between, stewards will pick up trash and straighten out the cabin, but that’s it. Otherwise, airlines are not generally cleaned between unloading departing guests and boarding new flyers (Think about the last time you sat at the gate waiting for the plane to debark). The vacuums that are used on most planes do not have attachments so only the floors are vacuumed. The seat pockets are sometimes emptied out between flights but that isn’t always a guarantee. Airplane seats are almost never cleaned. Also, airline business (and/or first class) blankets are never cleaned. They start off brand new but then are constantly reused. They are simply re-folded and used again. Deep cleanings usually happen only every 30-100 days often depending on maintenance down times. Portable UV Sanitizer Travel Wands or Hand Wands that use batteries may also be something you want to look into – esp. if you travel a lot or will be on a long flight, or are concerned about germs at your final destination as well. (Personally, you may think it’s cool looking like Rey from Star Wars, as you attack the seat cushion or tray table.) Considering the amount of space you have, and rush to get people seated on most flights, we think hand sanitizer and a few paper towels is a much more effective use of your time. Independent tests (using a luminometer) show that the UV light wands do not work as well, or as fast, as a simple disinfectant sanitizer and paper towel. However, UV wands are light, relatively inexpensive, and they do work if used properly. Since dry air on a plane helps viruses spread and dries out your sinus cavity, try using a sinus spray to remoisturize your nasal passages. 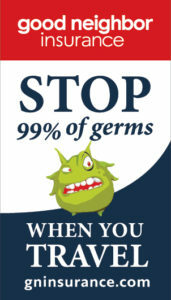 Your ‘mucociliary clearance system’ is your first line of defense against harmful germs and bacteria. These mucous membranes are far less effective at blocking infection if they dry out. Make sure the nasal mist you purcahse isn’t medicated to dry out your nasal cavity even more – such as one for sinus drip. The packaging should state clearly that it is non-medicated. See below. To block germs and protect yourself from colds, pick up a nasal moisturizing spray (non-medicated) and use it to help your immune system! You could also try rubbing a little petroleum jelly inside each nostril with a cotton swab or tissue. If you normally take medication to dry out your sinuses, you may want to hold off the day off/day before your flight. If you can make do without sinus-drying drugs, that will also help you stay cold-free when you travel. Do not rub your eyes. Wearing glasses helps, as does a sleep mask over your eyes if on a long flight. Your eyes and tear ducts are a fast route to getting sick. And keep hands and surfaces clean just in case you accidentally rub your eyes during the flight. There is debate whether sitting near the front (allowing you to get off the plane quicker) or sitting near the back (Boarding much later than other passengers so you aren’t exposed to their germs for as long before the air circulation system comes on) is the better strategy. Whichever you prefer, window seats are definitely preferred, so that you can turn away from middle passengers and isle passengers that may be coughing or sneezing. You can also turn away and “bury your face” in your hoodie or blanket, so that you are not breathing in their germs. Another thing you can do is wear a mask to block other people’s germs but that hasn’t caught on much outside of Asia. We don’t suppose many people would be interested in doing that (so we did not speak about it here). Lastly, always remember travel insurance. Not only does it include “flight insurance” benefits, but for the $1 to $2 a day, it will help you if you do get sick and need to see a doctor. Overseas, most domestic plans are not going to cover you, and if you call the toll free 24/7 number on the back of your travel insurance card, they can also direct you to a top-rated hospital (or clinic) and most even help translate for you if needed! See our recommended travel plans (or all our travel plans) at https://www.gninsurance.com/international-travel-health-insurance-plans/.